I’m introducing a new segment onto the podcast! 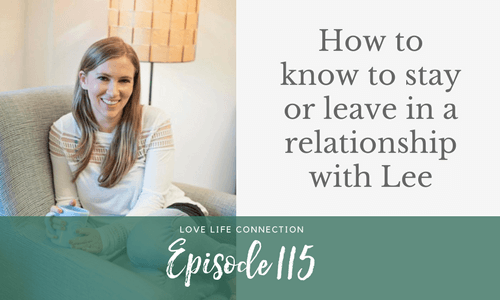 I’ve been running the Love Incubator and Love Action Tribe for a couple months now, and from my own experience, I know that listening to other people being coached can be just as powerful as being coached yourself. So, a couple of times a month, I’m inviting a woman from the Love Action Tribe onto the show to be coached by me. I officially have my own call in show! Woot woot. Anyways, our first caller asks a question I know many of you have: how do I know if I should stay or leave? We go deep into the situationship my caller is in, but the answer may not be what you expect.